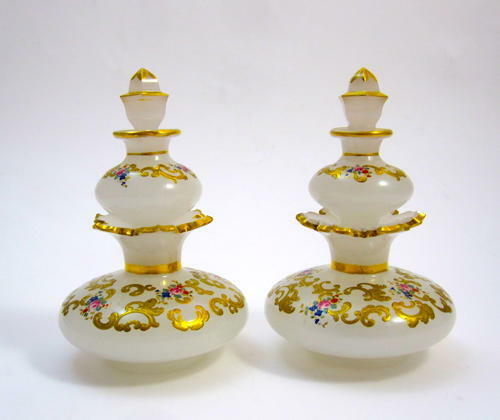 Pair of RARE Bohemian Opaline Glass Double Perfume Bottles. This is a Rare Perfume set Comprising of a Perfume Bottle with a Smaller Perfume Bottle as a Stopper. Each Perfume Bottle is Decorated with Hand Painted Enamelling and Composite Gold. Rare and Wonderful to have a Pair !